The apparent colour of the star tells us something about its temperature. 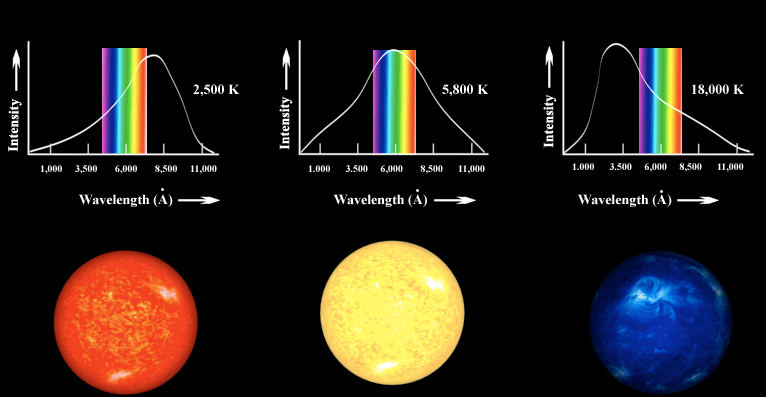 The hotter the object, the shorter the peak wavelength emitted by the star, as shown in the graph below. This relationship is called Wien’s Law. Although this relationship is not provided in the CfE Higher relationship sheet, there is potential for a graph question relating to Wien’s Law. It might be easier to see the emitted wavelengths projected against the visible part of the electromagnetic spectrum. 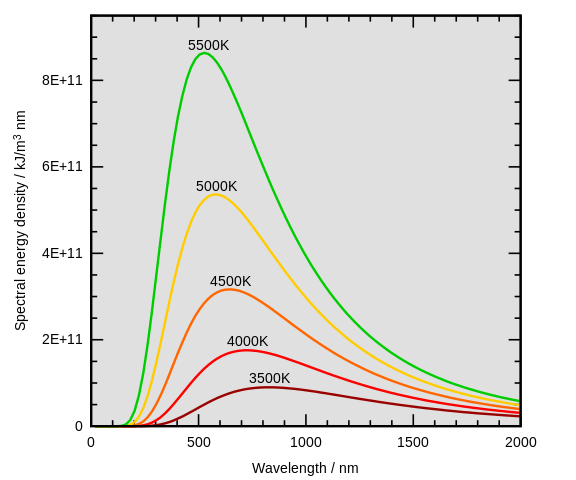 Here, the wavelengths are given in an alternative unit – Ångstroms (10 Å = 1 nm). 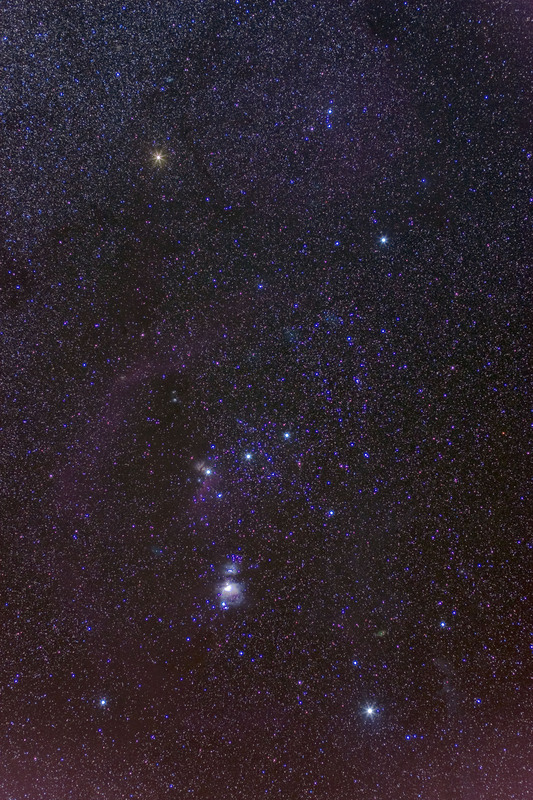 Our Sun is a typical yellow star, so its emission would be represented by the middle star in this image. The colour of a star also tells us something about the expected behaviour of a star, it’s lifetime, and destiny. This is achieved by plotting the stars on a Hertzsprung-Russell diagram. More about HR diagrams here. Test your understanding of the HR diagram. In case you were wondering, we get red stars, orange stars, yellow stars, and blue stars. But not green stars.